In the last part of the series of article on Competition Law, lawyer Jeremiah Chew from Ascendant Legal LLC shares more about how competition law regulates mergers and acquisitions. How does competition law regulate mergers? What is considered a “merger”? How does the Competition Commission of Singapore (CCS) assess whether a merger is anti-competitive? Mergers and acquisitions are part of the business world. Many businesses have joined forces for commercial reasons – think SIA buying over Tiger Air in 2014, or, on the international stage, Disney taking over Lucasfilm (and the Star Wars franchise) in 2012 for US$4 billion. However, did you know that a merger or acquisition (M&A) can be shot down / prohibited if it would create an entity that could potentially eliminate competition? This aspect of competition law is something that all savvy businessmen and investors should be aware of, but often do not consider until it is too late. #1 How does competition law regulate mergers? The Competition Act prohibits mergers which result or may be expected to result, in a substantial lessening of competition in Singapore. The Competition Commission of Singapore (CCS) has wide powers to investigate any merger, or anticipated merger, that it suspects to be anti-competitive. If the CCS concludes that a merger is anti-competitive, it can order that the merger be dissolved or modified, and require that the merger parties modify or cease any conduct related to the merger. Needless to say, having a merger “unraveled” in this manner would be extremely inconvenient, not to mention embarrassing, for all parties involved! #2 What is considered a “merger”? organisation A acquires assets in organisation B to the extent that it replaces organisation B in the latter’s business. A common vehicle in M&A scenarios is a joint venture (JV). A JV will be considered a merger if it performs, on a lasting basis, all the functions of an autonomous economic entity. In other words, the JV must be able to stand on its own feet and perform the functions normally carried out by an organisation in the market that it operates in. #3 How does the CCS assess whether a merger is anti-competitive? In a nutshell, the CCS will compare the state of competition with and without the merger. If the merger will lead to a substantial lessening of competition, it will be considered anti-competitive unless any exceptions apply. The CCS will first look at the overlapping markets in which the merger parties operate in because these are the markets which will be affected by the merger. The CCS will then look at the market shares of the merger parties in those overlapping markets. The higher the parties’ combined market share, the more likely it is that the merged entity will have substantial market power, and be in a position where it can adversely affect competition (e.g. by raising the price of its goods). The CCS will also look at the “concentration ratio”, which measures the combined market share of the biggest firms in a market. If the concentration ratio is high, the market is likely to be an oligopoly or a monopoly, and hence more susceptible to anti-competitive actions taken by a big player in the market. the merged entity will have a market share of 20-40%, and the post-merger CR3 (i.e. the aggregate market share of the 3 largest firms) is 70% or more. whether it is easy for existing competitors to expand their operations – i.e. whether there are any barriers to expansion. The easier it is to enter the market or expand in the market or the more competitive the market is, the harder it will be for the merged entity to carry out anti-competitive actions. Barriers to entry and expansion include regulatory and structural barriers, economies of scale, costs of entry and whether potential competitors will face difficulties in obtaining the assets and technologies needed to carry out business. The CCS will also assess countervailing buyer power – in other words, how much power customers have in a market. When faced with anti-competitive action by a supplier, powerful customers may be able to refuse to buy products from that supplier, switch to different suppliers or even enter the market themselves. The higher the degree of countervailing buyer power, the more competitive the market is, and the harder it will be for the merged entity to carry out anti-competitive actions. Even though a merger may lead to a lessening of competition in a particular market, it may at the same time result in economic efficiencies. A larger entity may be able to enjoy lower production costs, provide a greater selection of goods and services for consumers, provide a higher quality of goods and services, or allocate more funds for R&D to create better products, among others. The CCS will consider the economic efficiencies arising from a merger with the potential anti-competitive effects. If the economic efficiencies outweigh the anti-competitive effects (otherwise known as a “net economic benefit”), then the CCS will consider clearing the merger despite its potential anti-competitive effects. Heineken’s acquisition of Asia Pacific Breweries in 2012. These mergers were all cleared by the CCS after a detailed review of the effects which these mergers would have on their related markets in Singapore. Think about it: this means that if you have driven a car, taken a flight on a budget airline, or ordered a beer recently, you could very well have been consuming goods and services which have been the subject of a merger review! To all business owners out there who have entered into / are thinking of entering into a merger, it is important to note that it is not mandatory to notify the CCS of your merger / proposed merger. The CCS encourages merger parties to first conduct a self-assessment (or, to use a term recently made popular in Singapore, “ownself check ownself”). Merger parties should only notify the CCS if they think that the merger is likely to lead to a substantial lessening of competition in the markets that they operate, or are intending to operate, in. The CCS has indicated that it is unlikely to investigate a merger that only involves small companies. “Small companies” are those whose annual turnover in Singapore for the last financial year is below S$5 million, and whose combined worldwide turnover for the last financial year is below S$50 million. As mentioned earlier in this article, if the parties’ market shares are fairly low (combined market share of below 20%), it is unlikely that the CCS will consider the parties’ merger to be anti-competitive. That said, calculating market shares is not as simple as it may seem, as it requires an analysis of what the relevant market(s) is / are. You should seek legal advice if you are unclear on this point. impose financial penalties on the merger parties. In summary, if you are thinking of entering into a merger and are concerned about whether your merger will be anti-competitive, you should seriously consider seeking legal advice before entering into the merger (or any paperwork relating to the merger). Before making a formal notification to the CCS, parties to a merger may (but are not required to) contact CCS to set up pre-notification discussions (PNDs). During the PNDs, the CCS will indicate what information it requires from the parties to assess the merger. Further information about PNDs may be accessed at this link. Parties may also seek confidential advice from the CCS if they have genuine doubts as to whether a formal notification is required. During this process, the CCS will carry out an internal assessment of the merger based on preliminary information provided by the parties, and provide non-binding, confidential advice on whether notification would be appropriate. Once parties have decided to make a formal notification to the CCS, they will be required to fill in the form at this link. Take note that the CCS will require detailed and comprehensive information on the merger parties, the industries that they operate in, characteristics of the relevant markets and the goods / services which may be affected by the merger, as well as supporting documents to back up the information, among others. Parties will also need to pay a fee to the CCS when submitting the application. This fee may range from S$5,000 to S$100,000 depending on the size and turnover of the merger parties. Compiling the necessary documents and information for the notification process will require a significant amount of time and effort on your part (and the CCS will also have to spend time and effort to review the application). In order to ensure that your (and the CCS’s) resources are used efficiently, it is strongly recommended that you take the time to conduct a self-assessment of whether your merger raises any competition issues, before notifying the CCS. Conducting a self-assessment is not a simple task and requires familiarity with the competition law in Singapore. If you do not have the know-how to conduct a self-assessment, it is recommended that you contact a competition lawyer to assist you with the process. Further details may be found on the CCS’s website here. The CCS will conduct its merger review in two stages: Phase 1 and Phase 2. The Phase 1 review is a quick review which will generally be completed within 30 working days upon notification. Where it is relatively straightforward for the CCS to conclude that a merger does not raise competition concerns, the CCS will do so at the end of the Phase 1 review and there will be no need to proceed to the Phase 2 review. If, however, the CCS is unable to make such a conclusion at the end of the Phase 1 review, the CCS will proceed to a Phase 2 review, which involves a more detailed and extensive review of the merger’s effects on competition in Singapore. In the course of the Phase 2 review, the CCS is likely to request for further information from the parties. A Phase 2 review will generally be completed within 120 working days. If the CCS has concerns about the anti-competitive effects of a merger, the merger parties may give commitments (i.e. promises) to the CCS to address its concerns. Commitments may be structural in nature (e.g. a commitment to sell a part of the business where competition might be affected) or behavioural (e.g. a commitment not to raise prices of affected goods and services above a certain level). Given the potentially severe consequences of entering into an anti-competitive merger, it is imperative that merger parties think carefully before inking any merger agreement. If parties have any doubt about the legality of their merger, they should seek legal advice and conduct a self-assessment before entering into the merger. Have a question on Competition Law? If you have any questions about Competition Law, you can request a quote with Jeremiah Chew. This article is written by Jeremiah Chew from Ascendant Legal LLC. 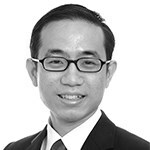 Jeremiah Chew is a dispute resolution lawyer based in Singapore. He specializes in intellectual property and competition law. In addition to dispute resolution, Jeremiah also advises on the non-contentious aspects of intellectual property and competition law. Can WhatsApp messages be used in court in Singapore?